NaNoWriMo is over but as I begin to edit my manuscript (I gave it a week to rest. More time would have been better, but I'm impatient) I'm looking ahead to my next story and what this one will be about. When I came across The Secret To a Successful Concept by Larry Brooks, I knew I'd found the perfect article. Larry says--and I agree--that each story begins with an idea. The trick is to turn that idea into a concept. But not just any concept. 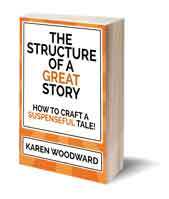 You want to develop the idea so it grabs your reader's attention and keeps them turning the page. From an explanation to a proposition. From a character to a journey. From a story about something to a story about something dramatic. In other words, don't just tell a story, create DRAMA. Larry Brooks holds that drama results when you turn a story idea into a story concept. - My father when he was a child growing up on a farm. Larry stresses that the difference between working with a story idea and a story concept doesn't have anything to do with HOW a story gets written. The key is understanding the difference between a concept and an idea. Being able to intuitively tell when your idea needs more work before you wade into your first draft. Idea: A story about growing up on a farm. It's a perfectly good idea, but it has no drama. Who is our hero (I call gals heroes too) and what is his or her quest? What does he or she need to overcome to accomplish his or her specific goal? That has it all. Our hero is in love with the farmer's daughter, someone completely off-limits to him. Here we have obstacles and conflict galore! Not only would the farmer kill the hero if he found out how he felt about this daughter, our hero has a whole segment of society set against him. Also--and I love this!--the hero's goal is specific (he wants to be with the girl he loves) and universal at the same time. His goal is easily pictured, it's something we can all relate to, AND it is intensely personal for our hero. 1. Ask a compelling question, one the reder wants answered. 2. Make sure your compelling question form (1) leads to other compelling questions. - What if a boy grows up as a slave in 1961 South Carolina and falls in love with his master’s daughter? - What if that daughter is half-white, from his relationship with another slave years before? - What if that slave has hidden the fact she is, in fact, his mother? - What if she is killed by the master before the truth is revealed? - What if she left her son a hidden note, to be delivered if anything ever happened to her? What a great way to transform a story idea into a story concept! Larry Brooks' blog, Storyfix.com, is chalk full of great information. - Amazon's KDP Select Program Has A Lot To Offer New Writers, But What About Established Ones? - NaNoWriMo Ends. Editing Begins! 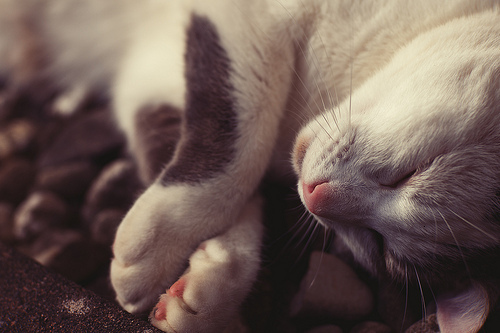 Photo credit:"Sleeping 猫" by 55Laney69 under Creative Commons Attribution 2.0. Congrats on finishing the NaNoWriMo! I almost did that this year, maybe next year. I don't think my story idea was along far enough, so this is a timely post. I hadn't seen Mr. Brooks blog before but will take a look. Another great blog is The Script Lab. 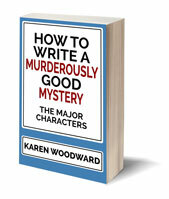 It is more for screenwriters, but I often get inspiration from their character studies, plot breakdowns, and so on.